A precipitous decline in ad revenues, the shift to digital, and the domineering online presence of Facebook and Google have upset the traditional business model for Canadian news organizations. All are casting for a new model that does work. But the ensuring economic turmoil has seen newsrooms close, journalists laid off and diminished coverage, especially in local news. On Wednesday, the Fédération nationale des communications (FNC) will hold a news conference in Ottawa to draw attention to the crisis. 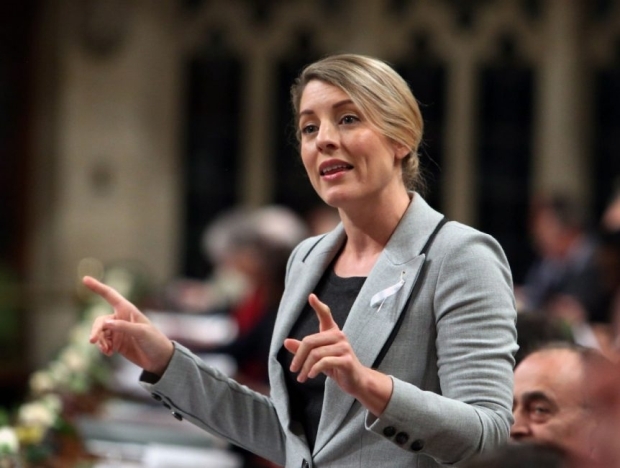 Heritage Minister Mélanie Joly has hinted that the Feb. 27 federal budget will deliver some assistance to offset the financial challenges confronting news outlets. And it appears Ottawa will use the Canadian Periodical Fund to channel the new funding. But federal officials have been quietly putting the word out that the financial assistance might not be as generous as some in the industry are hoping for.More. Reality check: In an age when everywhere we look, someone is tippy tapping away on his phone, the necrotic Canadian media could only ever be an amplifier for government propaganda, and many of them sound like they are rehearsing for the part. The news, whatever it is, will usually be elsewhere. See also: YouTube anti-propaganda campaign unfair to public broadcasters, say critics The obvious solution is, in a media-saturated age, that governments to quit funding “public broadcasters.” “Editorially independent independent by statute” is nonsense. They know who butters their bread and they act like it. They’re not to blame for that but there is an unbridgeable chasm between independence “by statute” and independence by “we could go out of business” reality.